You Can Now Call Me "Free"
Baptism is a key spiritual marker in someones life. To watch an individual make a public profession of their faith is so incredibly encouraging. And then to watch someone, like many of those at Cherish, do it when their family is going an entirely different direction spiritually - amazing. 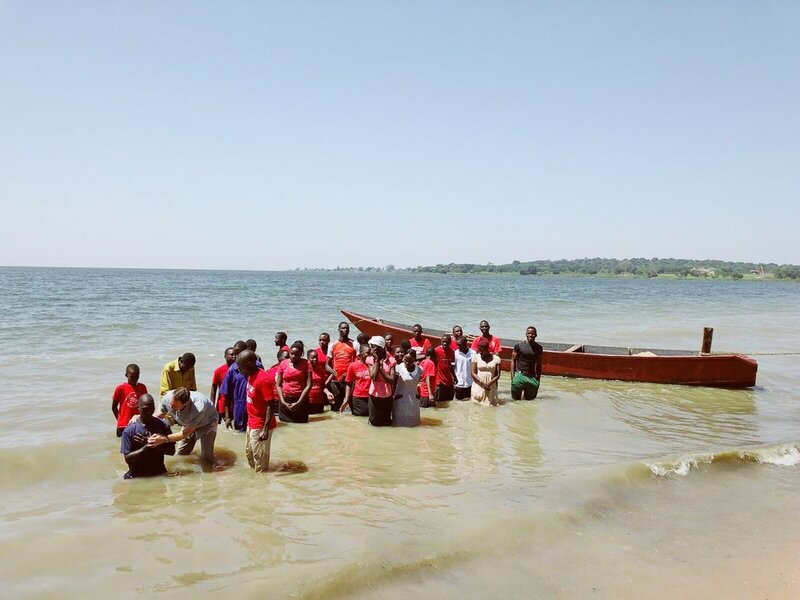 In July, 30 people were baptized in Lake Victoria at Cherish Uganda. The large number of people included staff members, kids, students, and eMi construction workers who have been working on-site building our Community Learning Center. Congratulations to Mr. and Mrs. Achilles Sekitoleko!